Open daily, 9am to 5.30pm from March to October. Entry to the Visitor Centre is free of charge. The Park Grounds are open all year round. For more information on the tea room please click here. 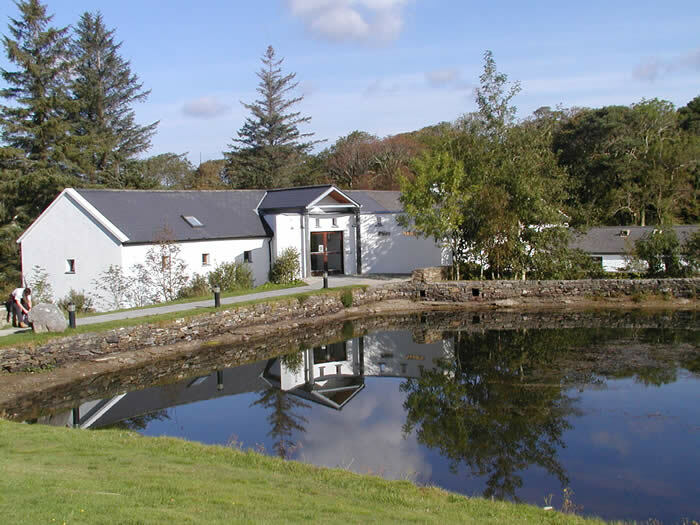 The Visitor Centre and main access for Connemara National Park is located near the village of Letterfrack along the N59. Entry to the park and visitor centre is free of charge. There is no charge for parking. 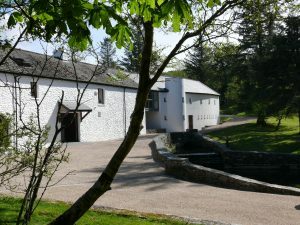 The National Park Visitor Centre is accessible by both public and private transport. There is no entry fee. Take the N59 (Westport Road) towards Letterfrack. Before entering the village of Letterfrack you will see a sign for the National Park on the right hand side of the road. Turn right here and follow the road to the car park. Follow the N59 (Leenane Road) towards Leenane, remain on the N59 to Letterfrack. 200 metres from the village you will find the main entrance for the National Park on your left hand side. Follow the road to the car park. Travel along the N59 to Clifden and then follow the directions above for travel from Clifden to Letterfrack (Distance Approx 93 kms). Travel along the N59 to Recess. Just after the village of Recess take the first turn on your right to travel down the Inagh Valley. At the end of this road turn left for Letterfrack. This is the Letterfrack-Leenane Road. Continue through Letterfrack and approximately 200 metres from the village your will find the main entrance to the National Park (Distance Approx 82 kms). Please note that the Connemara National Park car park cannot facilitate overnight parking/camping at this time. The car park is for day time visits only. We recommend that camper van visitors who wish to stay overnight use one of the local camper van sites. Bus services for Letterfrack operate from Clifden, Galway & Westport. If you bring dogs to the Park, keep them on a leash as they can disturb the wildlife. Please clean up after your dog – it’s not nice to see or walk in dogs’ foul. Hill walking in the Park can only be recommended for walkers with suitable outdoor clothing, footwear and equipment. Do not venture into the hills alone. Know your limits and those of your friends walking with you. Inform a competent person of your walking trip and estimated time of return. Take litter away with you. Leave wild flowers for everyone to enjoy. Photograph or sketch them instead of picking them. The National Park is an enjoyable experience but must be treated with respect.